Founded in 1988, Merrick Pet Care, Inc. is a leader in natural and organic pet food. All recipes are cooked in the USA using only fresh ingredients. The company offers a wide variety of dry and wet foods, as well as treats, that are available nationally at independent pet specialty stores, Petco, and online via select retailers. In April 2015, Merrick Pet Care was bought by Nestlé-Purina PetCare Company, but continues to operate as an independent business. Merrick Pet Care uses a highly structured way of selling its products to retailers, in which more than 50 salespeople each visit 160 stores per month. The salespeople gather data about each site visit, including details about the placement of Merrick products, feedback from store managers, products sold, and the time each visit started and ended. Merrick is a data-driven company, and information from the sale staff needs to be gathered accurately and integrated into the Microsoft Dynamics, the company’s Enterprise Resource Planning (ERP) system. Merrick had been using mobile technology for several years, but its existing apps did not deliver the capabilities the company needed, such as the ability to work offline. Merrick contracted with Clients First to develop and deploy its mobile app and strategy as a way to speed up development. Clients First develops accounting systems throughout the U.S.’s south-central region, and in more than five countries worldwide. "After struggling with those two platforms, I came across Alpha Anywhere, and it looked to me as if it had all the capabilities we needed. Its offline capabilities were particularly important and comprehensive." Clients First tried Kony and Appcelerator for developing the mobile app, but none was capable of building what Merrick Pet Care needed. Development was slow because of the limitations and difficulties in using each platform. Freeman says that the finished app “is very polished-looking – it looks like a B2C, high-quality app you’d download from the Apple App Store.” Using the app on iPads, salespeople put together their monthly plans, which are then changed if necessary by supervisors, and then approved. When salespeople go out on calls, the app uses the iPads’ GPS capabilities to help them find the fastest route from store to store. Salespeople input all information from each call into the app and that information is sent directly into the ERP system. "Because we built it using Alpha Anywhere, we were able to develop it extremely quickly. I estimate we’ve saved hundreds of thousands of dollars in development time." The app has increased salespeople’s productivity, and helped Merrick Pet Care more effectively manage its sales process. Merrick Pet Care was so pleased with the Alpha Anywhere sales app that it had a second one built, for warehousing. Because of the experience gained with developing the sales app, it took only three weeks to build and deploy. The app examines all incoming orders, and sends that information to warehouse workers carrying mobile devices, making sure to batch the orders so that workers can fulfill them in the shortest amount of time. After the workers fulfill each order, they scan a bar code. That information then is sent straight into the ERP system. "Now that we’ve mastered Alpha Anywhere, I expect us to continue to build new apps with it across the organization. 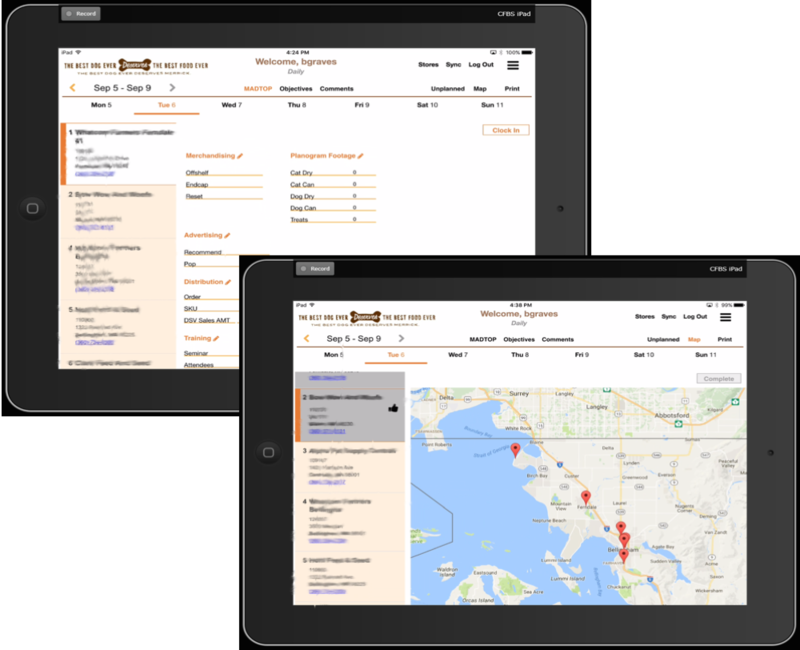 Alpha Anywhere’s flexibility can apply to virtually any department or business problem."